Some of the best couples in the world, exciting competitions, Latin & Ballroom like you never saw it before. Experience the glamour and the glitz in the greatest city on earth New York City. To ensure great seats book your Ticket Now!. All seats in the ballroom are numbered and coincide with your ticket number. Therefore any groups wishing to sit together should order tickets at the same time. Tickets are assigned on a first come first served basis. All ticket orders will be held at “Will Call” under your name at the Empire Registration Desk. Empire offers à la carte services for more flexibility. 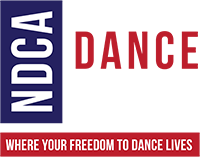 Use this form to book your Hotel and to summarize your Dance Entries.